At CaminoWays.com, the Camino de Santiago, specialists we have launched our Camino guided tours 2018. With over 40 departures from March until October the CaminoWays.com guided tours are as popular as ever so don’t miss your chance to join one of the groups departing in 2018. Early birds get 10% discount so start planning today! The week-long Camino guided tours are perfect to introduce walkers to the culture and unique history of the Camino de Santiago in a friendly environment. Our expert English speaking guides will make sure everyone comes home with fresh knowledge, a great sense of achievement and wonderful memories of a special trip. On this tour you will be walking the last stretch of the famous Camino Frances or French Way, featuring in many movies and books. Walking approximately 20kms per day, you will experience the classic Camino: enjoying Galicia’s green countryside, meeting fellow pilgrims on your way to Santiago and stopping in the famous octopus restaurants in Melide. Regular Saturday departures from March until October. For more details: Camino Frances from Sarria. Walkers on the Portuguese Coastal Way guided tour set off from the seaside town of Baiona in the heart of the Rias Baixas region of Galicia. The area is home to world-famous seafood and albariño white wine. The mix of coastal views, country tracks and historic towns make this Camino a very popular route for Summer and also for our Women Only Camino guided tours. Departures in April, May, June and September. For more details: Coastal Camino. Our Camino Walk and Coach tours depart twice a year and take in all the most important sights along the Camino Frances from Leon. This is the ideal tour for those who want to combine sightseeing with a bit of walking. Each day includes about 1 to 2 hours walking on the most scenic parts of the Camino trail, in addition to visits to important monuments along the way. A support bus will transport the group in comfort and our team has selected unique hotels along the way to make it an extra special journey. For more details: Camino Walk and Coach. Guided tours in Ireland: hiking the Wicklow Way and the Kerry Camino in the Dingle Peninsula. 40 departures on selected dates from March until October 2018. See all departure dates here: Camino Guided Tours 2018. Starting from €748pps to join a 8-day guided tour from Sarria to Santiago de Compostela. Includes: Unless indicated CaminoWays.com guided tours include airport transfers, English-speaking local guide, luggage transfers, half board accommodation with dinner each night and holiday pack with practical information. Hi Clare, thanks for getting in touch with us. We are working on next years tours that will include Dingle. You will find a full self-guided tour of the Dingle Way here: https://irelandways.com/ways/dingle-way/hiking-the-dingle-way and we also help to run the Kerry Camino festival each May if you would like to join us at this from May 4 – 6 2018. If you would like more details about the Kerry Camino you can contact our travel team at info@caminoways.com I hope that this helps. Kindest wishes, Lisa from CaminoWays. Hi – looking for a walking tour of Dingle end of August 2018. Are you running anything? I would love to do this walk and coach tour next May.i would like get some information on Sarria to Santiago de com postela. Thank you Trish. FIT Sales Manager Felicia is originally from Berlin. She has a Bachelors Degree in Tourism Management and has travelled to many countries, including a 6-month spell in Cape Town, South Africa, where she worked in a guest house. While there, she developed a keen interest in hiking, climbing up Table Mountain and Lion’s Head. 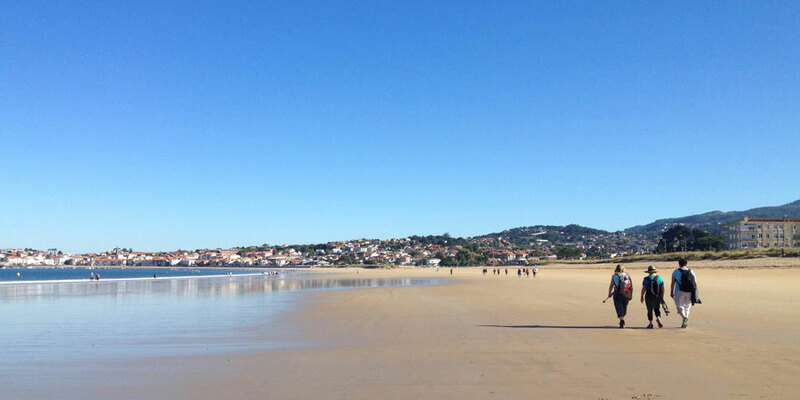 Felicia has walked the French Way from Sarria to Santiago and cycled along the Portuguese Coastal Way from Porto to Baiona. 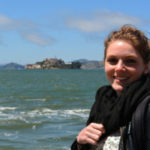 This, coupled with her love of travelling, lead her to return to Dublin to join CaminoWays.com.